We are intern019, a mixed reality studio that specializes in the intersection of games, art, and technology to create whimsical interactive experiences. We believe in embracing the ridiculous, the power of stupid ideas, and exploring the uses of incredible tech in weird and wonderful ways. Our creativity combined with our rapid prototyping skills enables us to build worlds that are both engaging and unique. intern019 started out as an underground printing business at our university. Before we decided to form a company, back in our student days, we found a printing card with unlimited printing money on it. Naturally, we took advantage of this free printing money by posting multitudes of fake posters all around our school, at one point even convincing students that John Cena was coming to speak at our university. 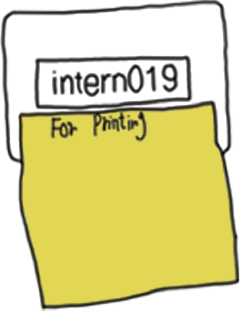 The card was labelled to intern019 and so we decided to name our company intern019 in honor of it. To learn more about us, check out our site, intern019.com or email us at unpaid@intern019.com! What's it like to be a pawn in someone else's chess game?